We are a locally-owned community pharmacy dedicated to providing personalized service at an affordable price. Howell & Heggie Drug Company is proud to be your source for all of your pharmaceutical needs. We offer a wide variety of services including conventional prescription filling, compounding, medical equipment, medicare open enrollment, medication therapy management and much more. We're also proud to display a unique and beautiful gift shop with a wide range of items for all needs and occasions. At Howell & Heggie Drug Company, you can count on personal attention provided by our caring, professional staff. Our expertly trained pharmacists and friendly staff pride themselves on making sure your pharmacy experience exceeds expectations. 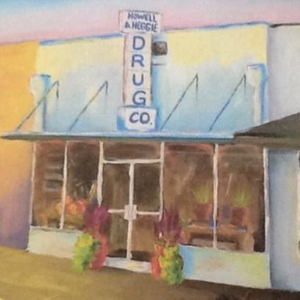 Visit us today to experience the Howell & Heggie Drug Company difference. Howell & Heggie Drug Company is proud to offer the Durant community a charming and decorative gift shop with items ranging from home decor to seasonal gifts. All of our items are selected with care and we work hard to present a collection of the the most unique and and lovely items you can find in Durant.